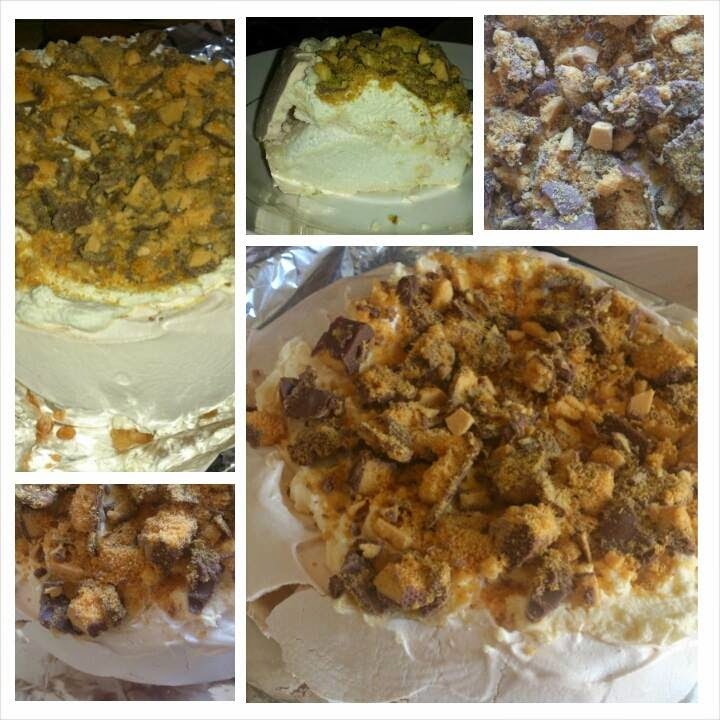 Your topping of choice, We chose 2 Cadbury crunchies but you can use anything you like! I also love to top mine with fresh strawberries and raspberries! Firstly Preheat the oven to 140°C/fan 120°C/ gas and line a baking tray with grease-proof paper (I have used foil in my pictures as I ran out of grease-proof paper however it is best to use grease-proof paper). (You may wish to draw a 8-9 inch circle into the grease-proof to help later when spooning your mixture onto the tray). 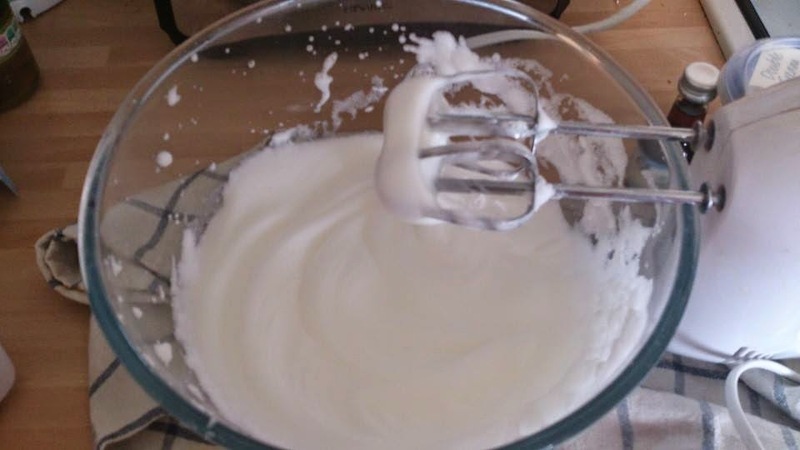 In a large clean bowl use an electric handheld whisk to whisk up your egg whites. They should look soft and fluffy. Next add your vanilla extract, cornflour and white wine vinegar and gently fold into the mixture. Now Spoon your mixture onto your prepared baking tray (If you drew the circle into the grease-proof earlier ensure you keep the mixture within this circle). Once the pavlova is on the tray in should be around 8-9 inches in diameter and around 2-3 inches tall). 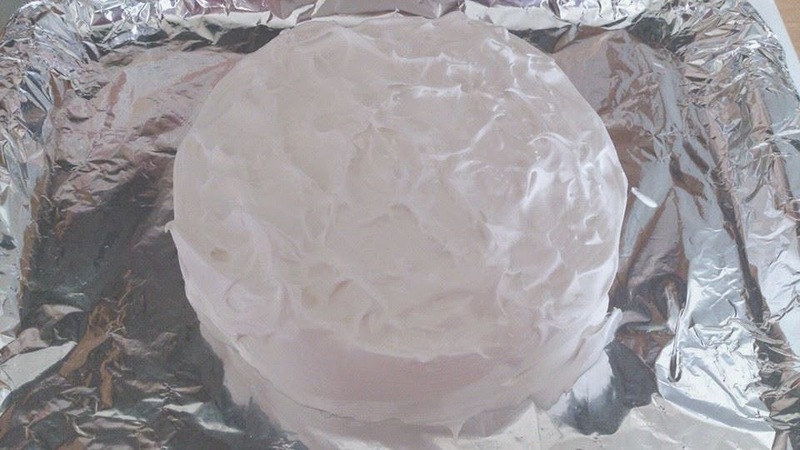 Place the pavlova into the oven to bake for 1 hour until firm. A trick I like to use is once the hour is up do not open the oven door instead switch of the oven but leave the pavlova inside to cool down gradually and remove once the oven has completely cooled down! 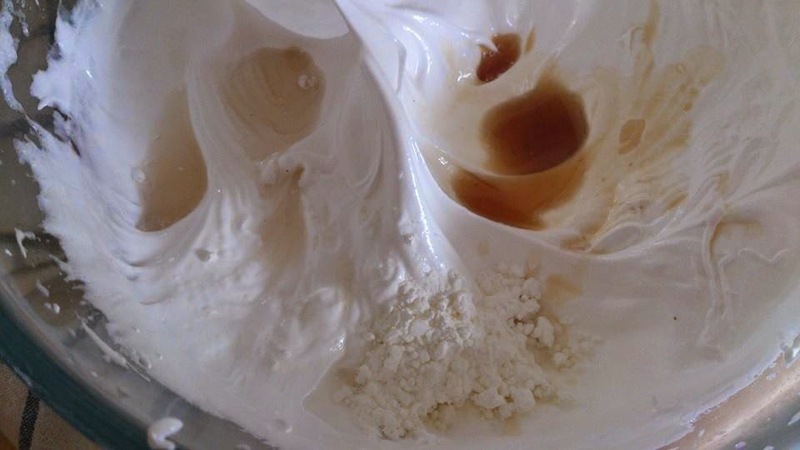 In a bowl add your double cream, vanilla extract and caster sugar and whisk until cream is much thicker and firmer. Spoon this onto your completely cooled down pavlova and add your topping of choice. Whats your favourite Pavlova topping? This looks so droolworthy and delicious. I would love it smothered with strawberries and white chocolate. Oh my god this looks amazing. I can't ever get meringues right so I'd probably struggle with pavlova too haha! 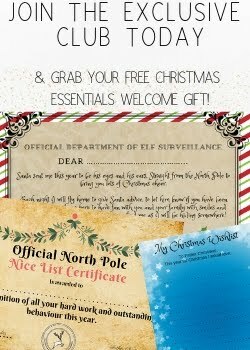 Oh dear lord - I NEEEEEED this in my life! Oh my goodness, that sounds amazing! 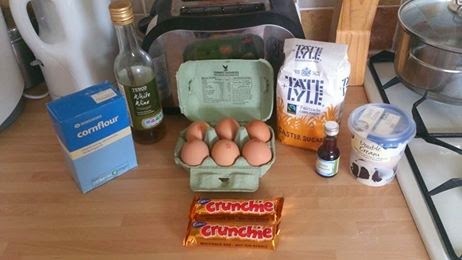 I love crunchies so will have to give it a try, have to say I usually cheat and buy a ready made pavlova base, mostly because I don't have an electric whisk for the eggs! So, okay, YUM!!! Love pavlova! Ooh that sounds like an amazing combination! 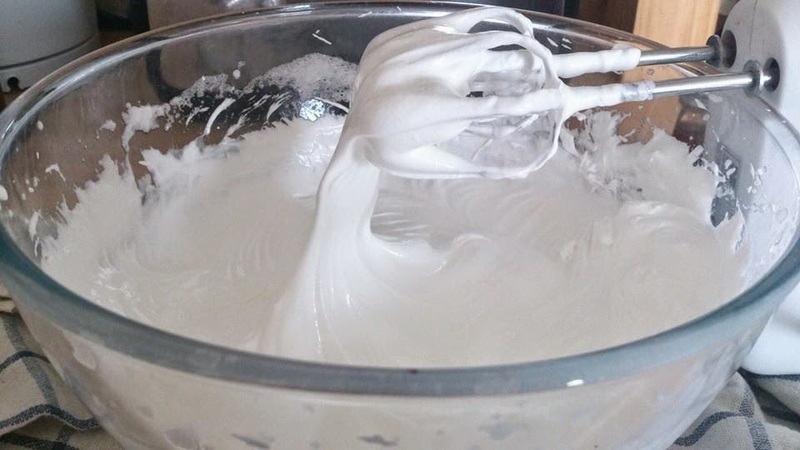 I love meringue in the summer. We always serve ours with fresh raspberries or strawberries. I need to make this! Chocolate and pavalova are two of my favourite things ever! This looks amazing. i did the food shopping earlier and nearly bought some crunchies! We don't have pavlova often enough. It's a yummy dessert. I love it with piles of fresh berries and a fruity compote.